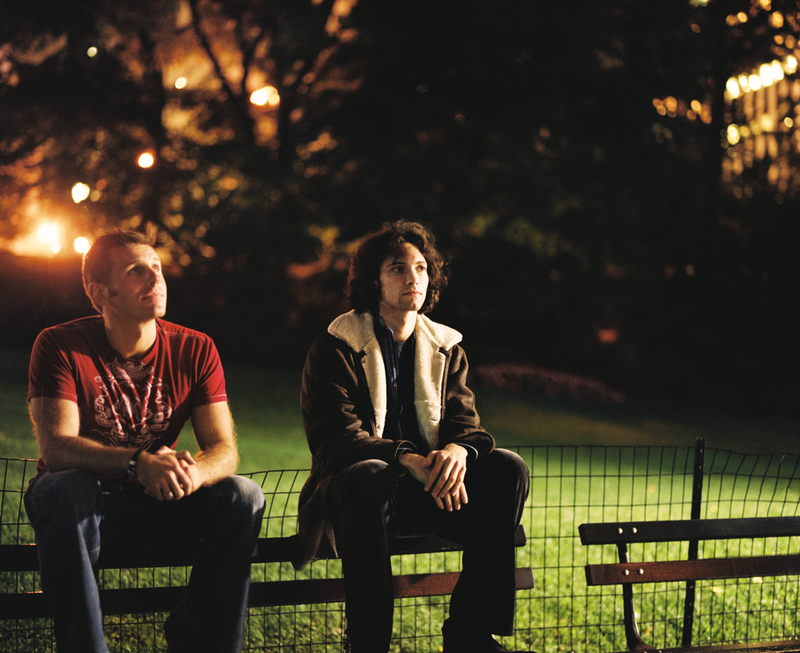 Brooklyn-based Skyhill was formed in the winter of 2006, when Dan Avidan and Peter Lennox connected through their love of atmospheric, beat-heavy anthems. Writing & recording throughout 2006 and early 2007, with Dan on vocals and Peter on guitars & keyboards, the band completed what would become their self-produced debut album, Run With The Hunted, in the spring of 2007. The album's sound -- a meld of down-tempo electronica, Euro house, and alt/indie rock -- reflected the influence of the band's many musical heroes, such as Zero 7, Massive Attack, Depeche Mode, and U2. Skyhill's live show is rounded out by the inimitable talents of Zack Hagen (bass, background vocals), Elena Belan (keyboards/triggers, background vocals), and Mr. X (drums, percussion), and features a hypnotizing visual display by Broken Lens Studios.